Woo Hoo! 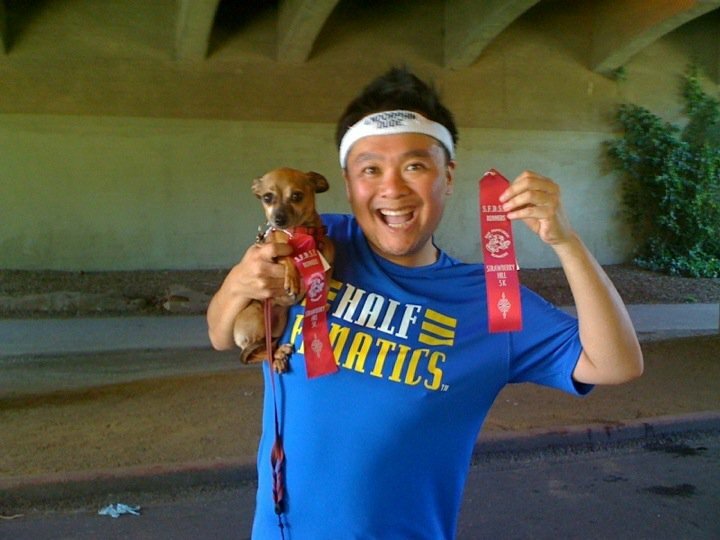 5k finishes for Endorphin Dude and The Epinephrine Pup! I'm smiling ear to ear in this photo for a few reasons. The most obvious is because I'm holding my dog. I'm always smiling when I'm with that little mutt. You can probably figure out that the second reason is because I have just completed another race. The ribbons kinda gives it away, don't you think? Notice that I said ribbons, as in plural. I got one and the chiweenie got one too! Yup, Endorphin Dude and The Epinephrine Pup both finished 5ks. Woo Hoo! There's more. I did say in my opening paragraph that there are a few reasons for the smile, and that last one may not seem so obvious. You may recall from my Seattle Rock 'N' Roll Half Marathon race report that I couldn't finish the full marathon and detoured to the half. 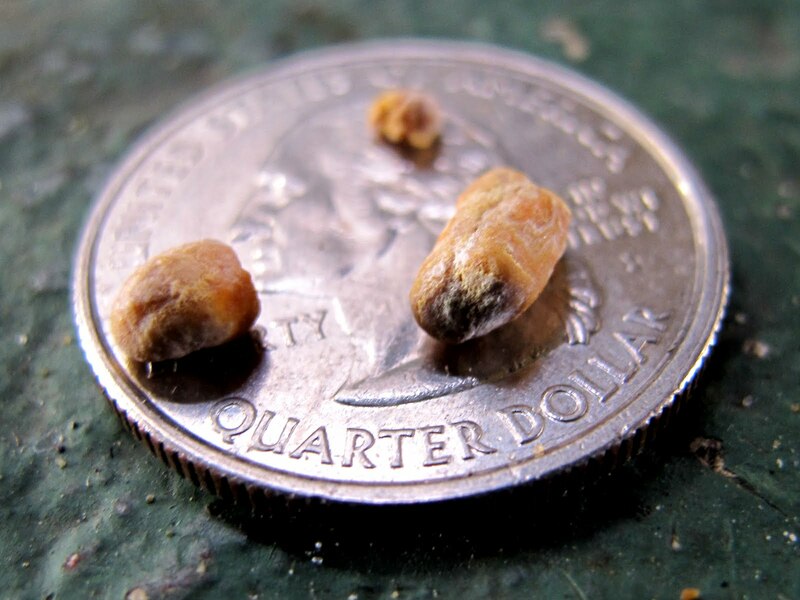 I had some pesky kidney stones that wrecked havoc in my body. Well, there is actually more to that story. Though I did finish 13.1 miles, I cut my trip short and went home, opting to skip out on the Firecracker Triple in Portland the following week. It was a very tough decision, but in the end, I had to think of my health, both physical and mental. I'm not going to lie, I was completely dejected. I headed home on Tuesday so that I could reboot. I went back to the basics and took Chewbacca for a long walk. I had lost my mojo and I desperately needed to get it back, and I knew the chiweenie would be able to help me find it. Sure enough, that little six pound mutt lead me to my healer. Up to this point, I had tried physical therapy, chiropractics, drugs, and cortisone shots for my sciatica, but nothing worked. I had my reservations about acupuncture, but I just figured I had nothing to lose. I gave it a shot and it did wonders for me. I went in for another session the next day and felt even better. All of a sudden, my confidence returned and on race day, I boldly ran! For the first time in weeks, I felt awesome running. I couldn't believe it! When I crossed that finish line, I let out a roar as if I had just finished a full marathon. It was only a 5k, but I ran it pain free. I knew then that acupuncture was it. Who would have thought that me turning into a voodoo doll would cure all my sciatic issues? I am now a believer, and this explains why in the photo above I am smiling ear to ear. On another note, I ended up passing those kidney stones...ON MY BIRTHDAY. Now there's another reason to smile! Well, passing the kidney stones and being pain free, that is, not it happening on my birthday.